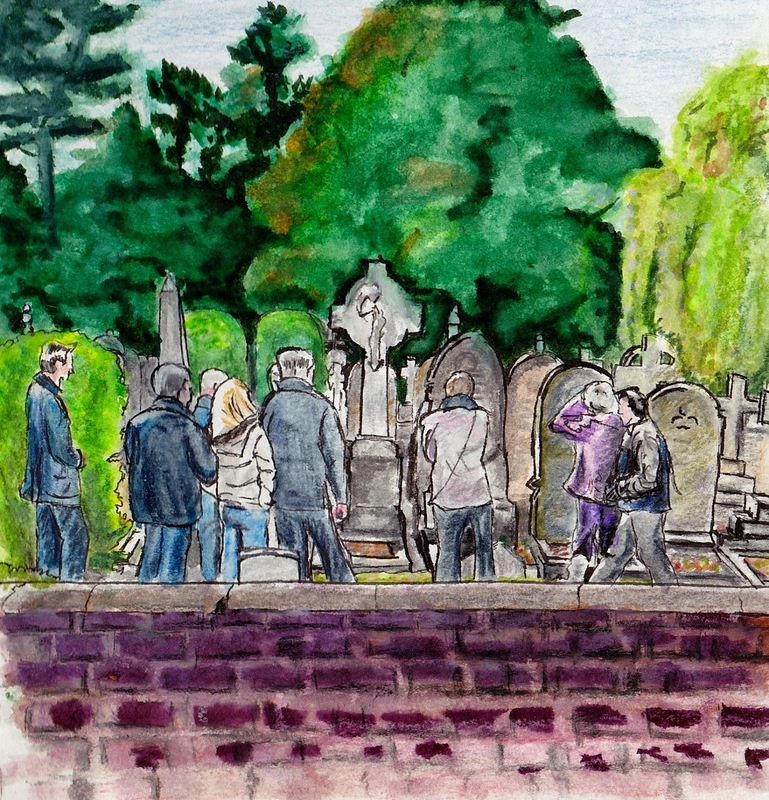 A Belated Virtual Paintout Post: Liverpool, England | Oh Sarah O ! After completing 10 Virtual Paintout and Belated Virtual Paintout drawings, my 11th drawing is the first Virtual sketch of a place I've actually visited. In April 2014 The Virtual Paintout took a look at Liverpool, and in July 2014 I visited Liverpool with my mom. So in March 2015 when I started looking for places in Liverpool to sketch on Google Maps, I had a vague idea of where I wanted to sketch- somewhere Beatles related but not overly obvious. I chose 24 Church Rd which is the church cemetery where the real Eleanor Rigby is buried. The church is situated on the same street that John Lennon and Paul McCartney met for the first time.